The weather in Chicago is finally warming up! 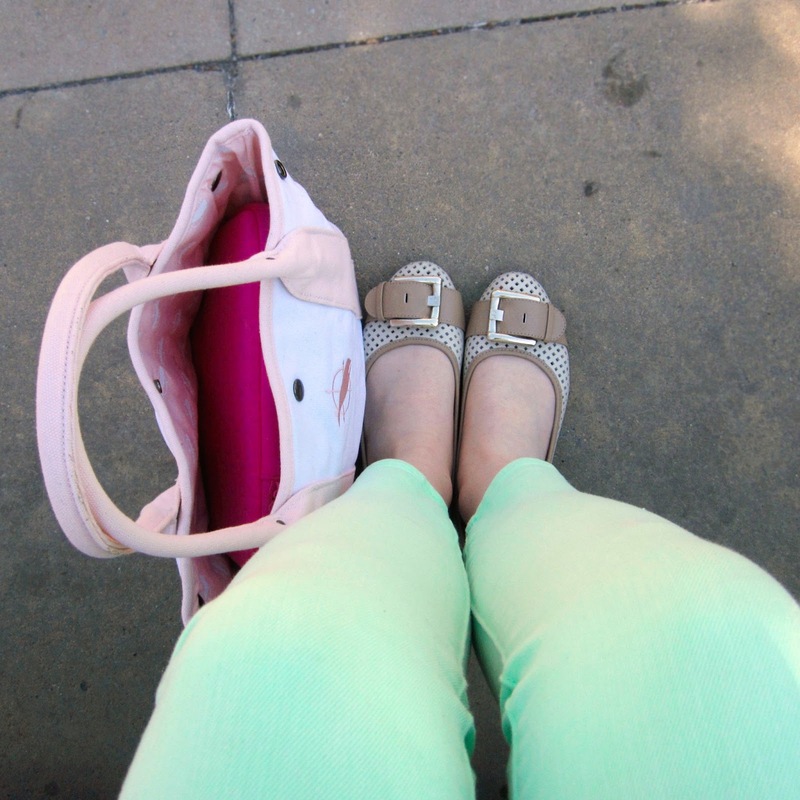 That means it's time to officially bring out my pastel wardrobe and summer tote bags. 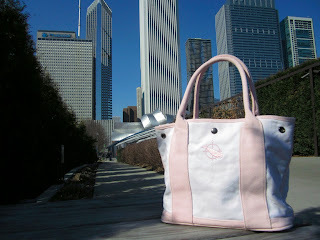 This season, I'm bringing a little bit of the east coast to the Windy City with a canvas tote from Nantucket Brand. I discovered Nantucket Brand on Twitter; the moment I saw their nautical logo I had to investigate their online store. 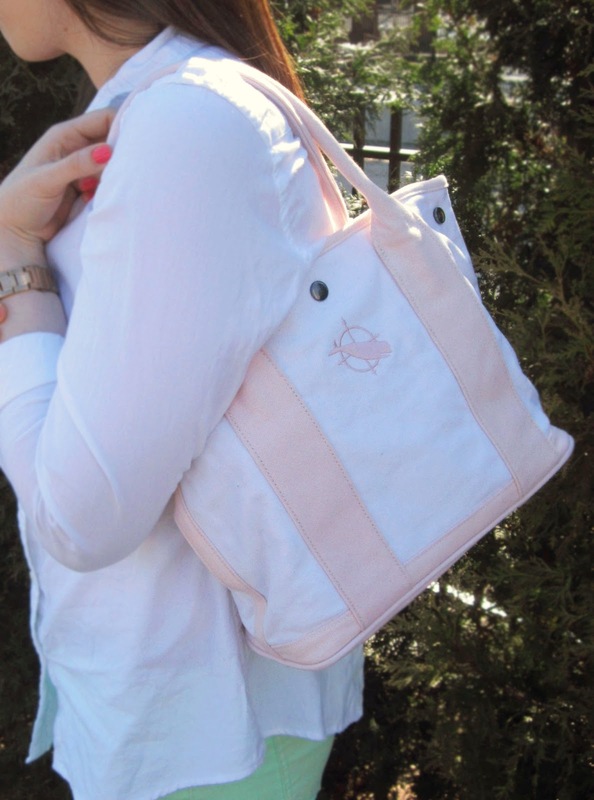 Their site is filled with men's and women's clothing and perfectly nautical accessories - my favorite is their canvas tote bags! 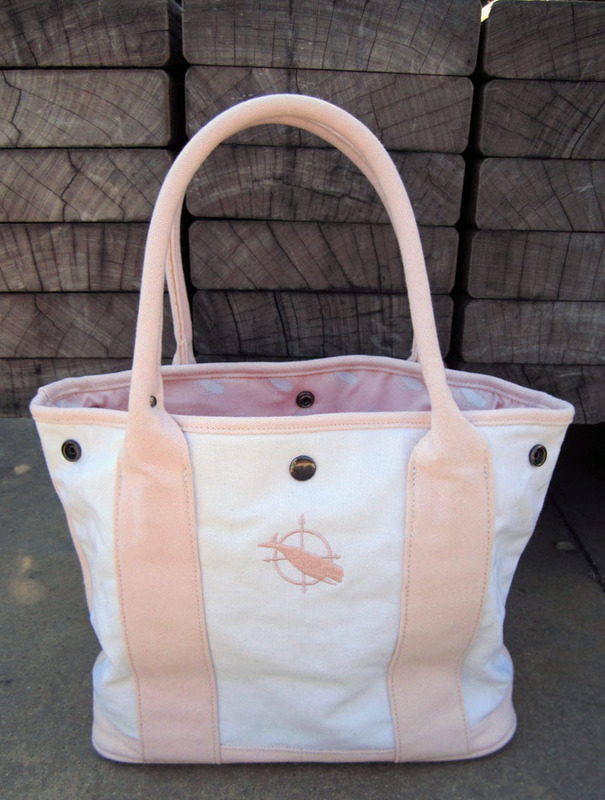 Nantucket Brand was kind enough to send me my very own light pink canvas tote for my summer tote collection. I love this size of their small totes. It's the perfect sized tote bag to accompany me to the beach; there's just enough room for sunscreen, a good book, magazines, sunglasses, and more! I styled my Nantucket Brand tote with a white oxford shirt from Banana Republic, mint jeans from Gap, Ray-Ban wayfarer sunglasses, and perforated Anne Klein flats. Thank you, Nantucket Brand for sending me one of your wonderful products! Know that one of your totes is being loved in the big city! 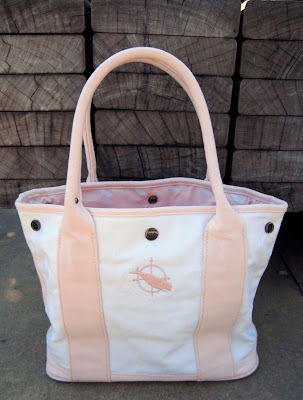 I suggest everyone add a Nantucket Brand tote (big or small) to their summer tote collection. They come in soft light pink, cheery yellow, and soothing blue. Bring a little bit of Nantucket to your hometown! 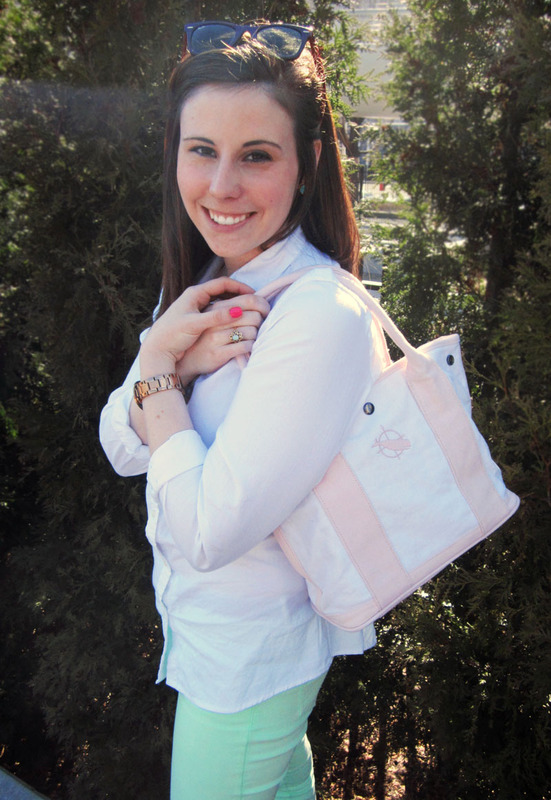 Make sure to log onto Nantucket Brand's website and follow them on Facebook and Twitter! Keep calm and nautical on! that bag is super cute! Checking out this brand right away! 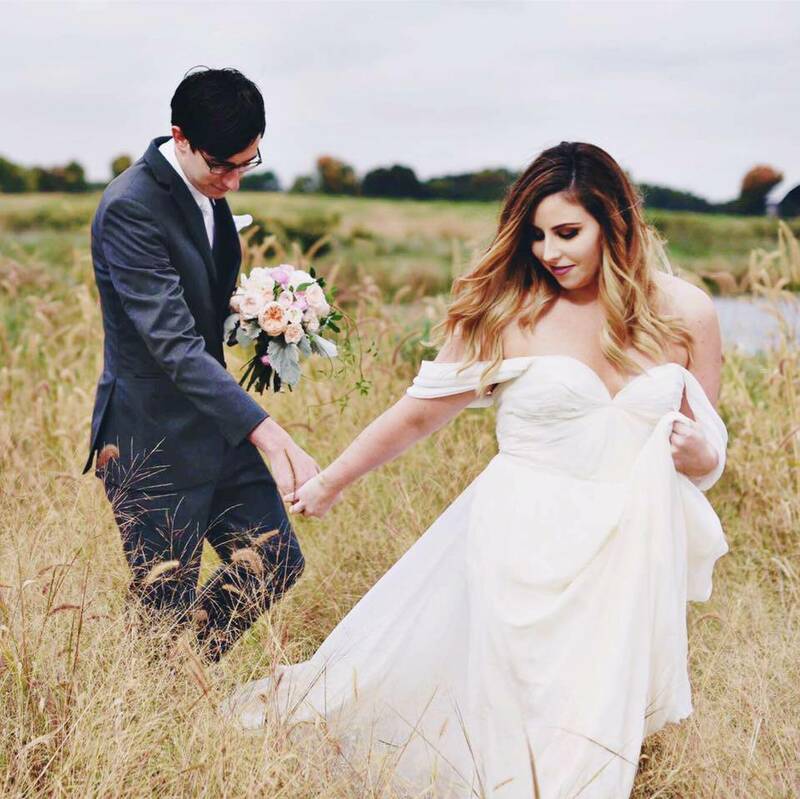 So cute, Carly! I've been looking for a fresh tote for spring, might have found the one here! Thanks for the review! That's such a cute bag. I like the colors you chose!